40 years after Agility first appeared at Crufts, it's official. 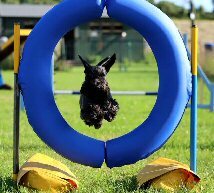 Agility has become the fastest growing and most popular canine activity in the UK and the sport is enjoyed by thousands across the country. Agilitynet.co.uk has been delivering news and information to this highly motivated and enthusiastic specialist market since 1998. It is without a doubt THE web site for anyone interested in selling their products and/or services to the UK Agility community. 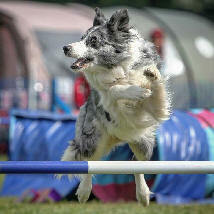 The Kennel Club estimates that there are approximately 24,000 people doing agility in the UK at any one time. Research undertaken as part of a student dissertation has suggested that there were approximately 10,000 households taking part in Agility. 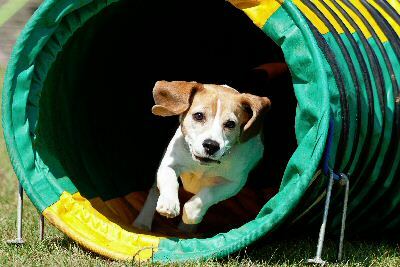 The approximate number of competitors taking part in agility shows over the course of a typical weekend, as estimated by The Kennel Club, is 4,000 dogs as opposed to 190 dogs Working Trials, 1,000 dogs Obedience and 150 dogs Heelwork to Music. There were more than 26,000 members of Agilitynet FaceBook as of 4th April 2019. 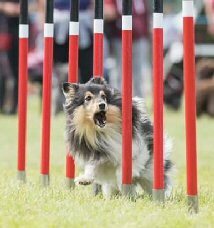 Agilitynet is the oldest, the largest and best known agility web site in country, providing news and information about handlers and their dogs, shows and events, rules and regulations for all styles of agility. The site was started in October 1998 as a hobby and a way of putting something back into the sport and it has grown steadily ever since. Agilitynet is updated, as and when possible, usually on a daily basis. Revenue generated from advertising goes towards covering the costs of running the site. Agilitynet is known as 'The Net' amongst the agility community. Not surprisingly, Monday is the most active day on Agilitynet. It's the day after the weekend shows. 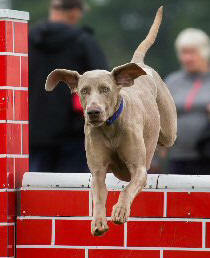 8pm is the most popular time of day to catch up with what's going on in the agility world. At least one person visits the site via the Welcome Page every minute of the day. Advert on the left hand side of every page of the site. Includes entries in the Shop and link. Banner at top of page. Includes entries in The Shop and a Logo/Advert on every page of the site. Not including the Winning Out Certificates or Senior Agility League. Payment may be made by bank transfer, cheque or in instalments by agreement.